I had a fun time with this one. Our tale begins with our hero, on the very first page, waking up to his face in muck…Literally. He is filthy and gross, and finds out that he was in jail this whole night because of some bar maid and he might have tore up the place a bit. Not the best place a Duke should be. Marcus, is the Duke of Autenberry and fleeing London and losing his best friend and feeling betrayed when his step mother and friend fall in love. So his plan is to go to his estate in Scotland and losing himself there where he seeks some solitude. Alyse, lost her father and had to live up to the agreement her father made with the man that became her husband. She took care of his children and cleaned his home, and all these years she is still a virgin. But he wants to marry another woman, and they come up with an agreement. She will put herself up to be auction, because she has a friend who will take her as his wife and they will have adventures and reside in London. But once she arrives and is put on the auction block, her friend abandon’s her and she is forced to be the wife of someone else. Marcus while riding on his way out of town, stumbles into the bridal auction and is shocked and appaled at what he is seeing. A beautiful young woman, being treated like a piece of meat especially in the way fellow men are treating her, like a slave. So Marcus, being the honorable man he is, offers for her. Marcus, has no plans to take a wife or become besotted like his brother or best friend but this is a woman in need of help or her fate could be way worse. He offers her a deal, protection and safety and she will see to his household as his housekeeper. Both Marcus and Alyse are both practical persons, so it seems like a reasonable agreement. I don’t doubt love. I was so young when my mother died I can’t even remember her. At fifteen my father died and I married a man old enough to be my grandfather. I had to work his farm, raise his children, cook and launder for him. That same man sold me at auction. So I’ve seen things too, you know. I’ve seen ugly things and I still believe in love. Your life must have been very hard indeed for you to be such a non believer. Alyse, at first, is shocked that this dirty smelling man is to be her husband. Oh boy, she didn’t realize what she was getting herself into. On their first night on their journey, they stop at an inn, and after Marcus takes a bath, she gets a real good clean look at him, and is humbled by how gorgeous he is and starts feeling some self doubts. But she made a deal and will stand by it. But while on their journey, both Macrus and Alyse realize how much they are attracted to each other. And during a heated argument, tempers flare, hands fly and a angry yet passionate kiss is shared between them and the flames just rise between them along with the temptation. Love makes fools of us all, big and little? Marcus knows that he can’t pursue this desire he feels for Alyse, but he wants her and he is slowly starting to fall hard for her. But Marcus is very cynical about life and is afraid to love and it isn’t until Alyse becomes sick on their journey and he is forced to face up to his feelings for Alyse and wants her to be his wife for REAL. 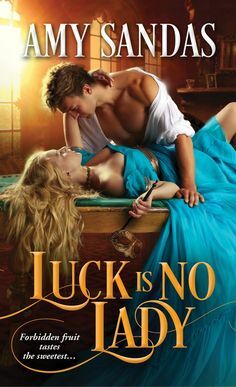 But he just might have to fight for her against crazy highlanders, his brother and even her previous suitor to prove to her his devotion and his heart…. Gentlemen did not fall in love with girls they bought on an auction block. Not in any fairy tale she ever read. The romance that builds between these two is soft and slow at times, they have some powerful chemistry, but they both deny what they feel for each other. Alyse is more ready to accept her feelings for Marcus, since she is open to love. However Marcus, is stubborn and cynical and brooding, so he takes WAY longer, but he proves himself in the end and boy the way the hero grovels, was so tender and sweet. The Smexy times between these two was just so fantastic. I loved how much they connect in the bedroom and boy the hero really knows how to please his lady. He always puts her pleasure about his own and I really like that in a hero. And boy some of these scenes were much HOTTER than I was expecting but I gravitated towards it because it only added onto the intimacy that is slowly building between this pair. He was there for her. He would always be there for her. He was the person she could trust even though he had claimed she should trust no one. What really gives you the sastisfying feels, is the very end when these two face up to what their hearts and minds are in sync with and that sometimes you have to FIGHT for who you love no matter the cost to yourself and boy the ending in this book was so romantic and left me with huge amounts of happy feels and I closed this story with a happy sigh. A story that is filled with sensuality, adventure, being true to yourself and learning what loving someone else truly means and the sacrifice it takes ….TRULY MESMERIZING!